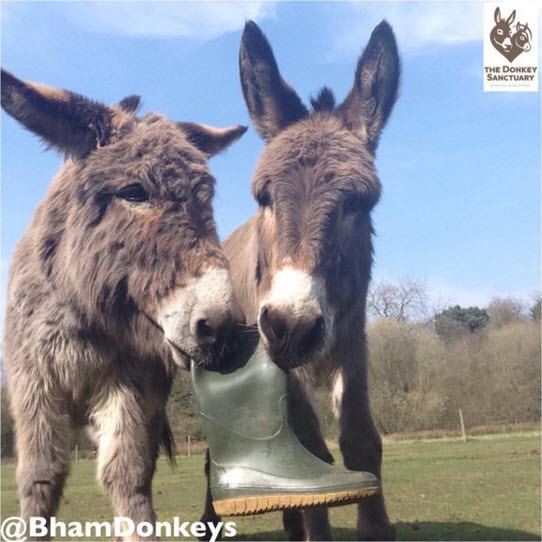 Give your donkey an old pair of rubber rain boots as a toy! Get an old boot or two and rinse them off well to remove any dried mud. Toss the boot in a corral or stall for your donkeys. Consider putting an apple or carrot in each of the boots for some extra fun, but check them often to see if the treats are smashed and need to be washed out.